Find some pinecones and make these pinecone Christmas trees. It’s a simple DIY that has a rustic, farmhouse look but can easily be made to fit your holiday decor! 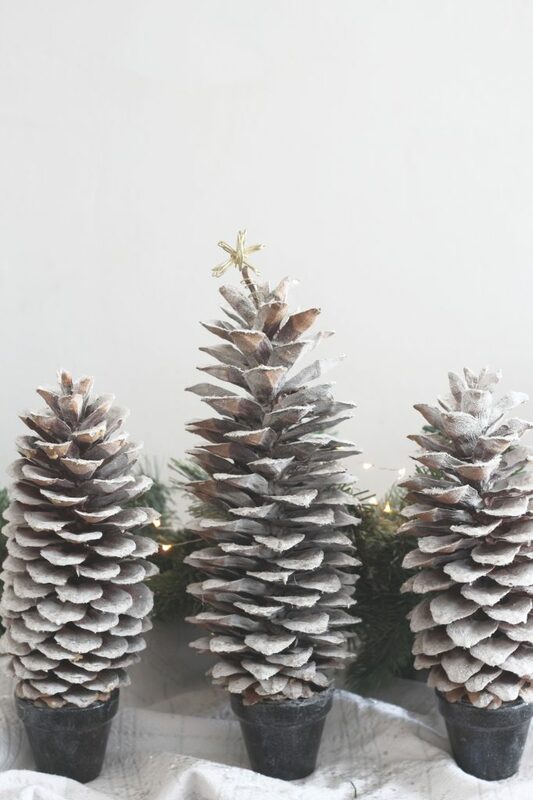 I love making little Christmas trees, so when I came across a pack of two large pinecones at Trader Joe’s, I knew exactly what I wanted to do with them! This craft is super simple and can be decorated in many ways. 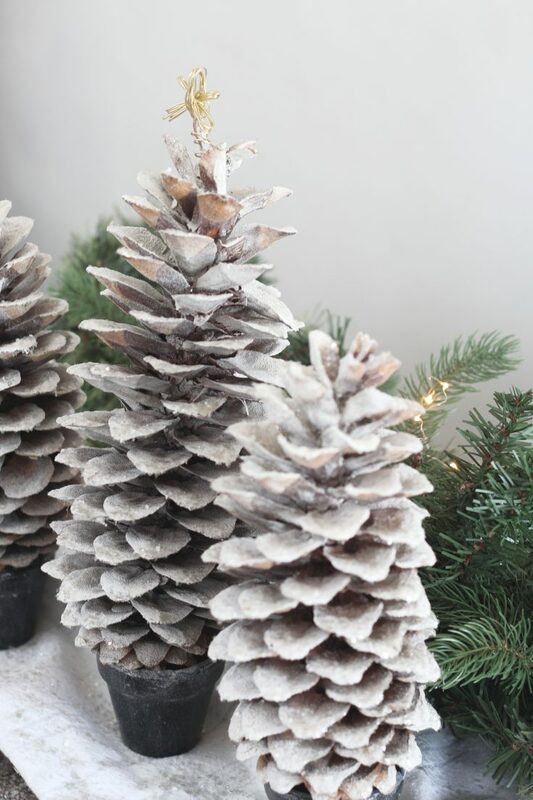 I wanted to keep it simple with some snow, mica flakes and a star at the top, but you can go crazy and decorate the pinecone Christmas tree to match your decor! It’s Day 7 of the 12 Days of Christmas Blog Hop… Be sure to scroll down and check out ALL the other decor ideas! I used these little terra cotta planters as a base for the trees, which I painted with black acrylic paint and covered with an Intense Glitter Varnish, for a little sparkle! I found that if you spray the spray snow from above, rather than the sides, it appears more like it would naturally, on top at at the tips of the pinecones. It’s hard to capture the brilliance of the mica flakes with the camera, so you’ll have to trust me that it adds a sparkle to the pinecone Christmas trees! For the star, I wrapped the gold wire around a couple of fingers a few times, then fashioned it into a star shape. 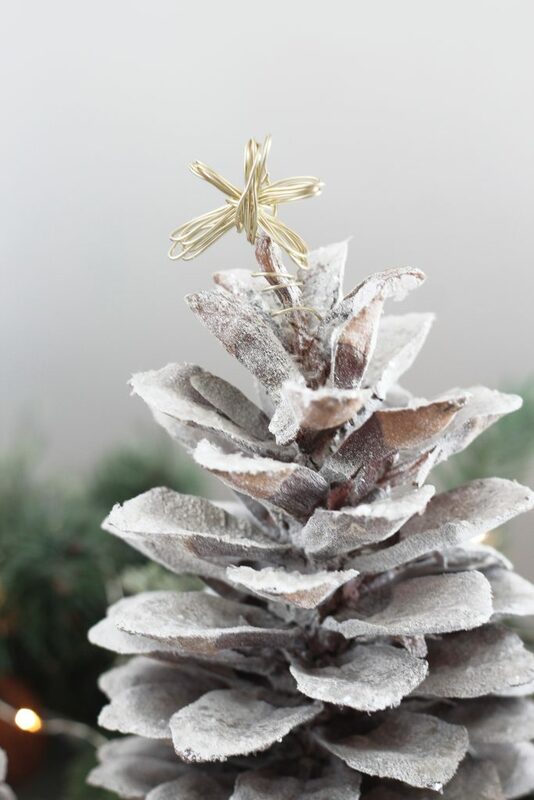 I like the rustic look of this, but feel free to do any tree topper you’d like! 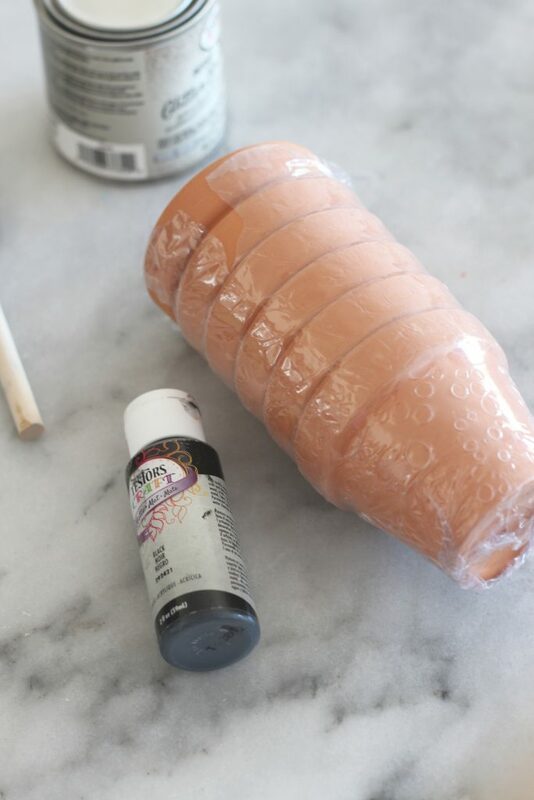 Paint the terra cotta pots and let dry. 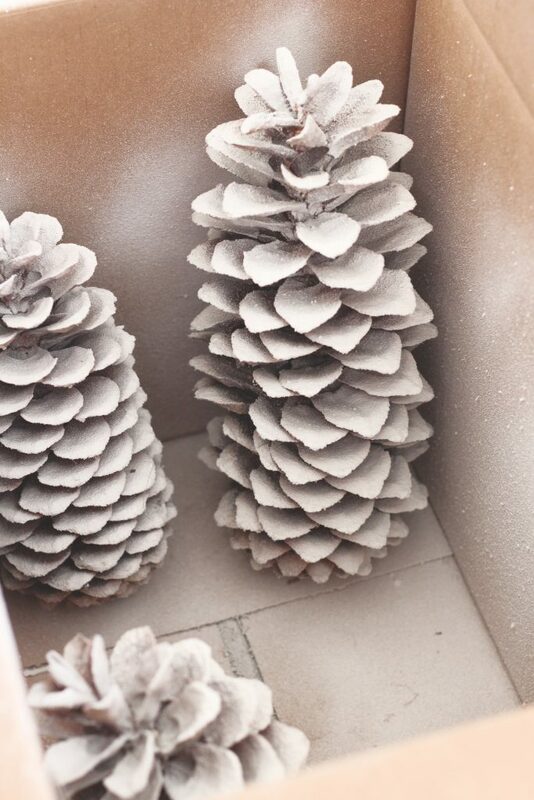 Spray pinecones with spray snow and let dry. 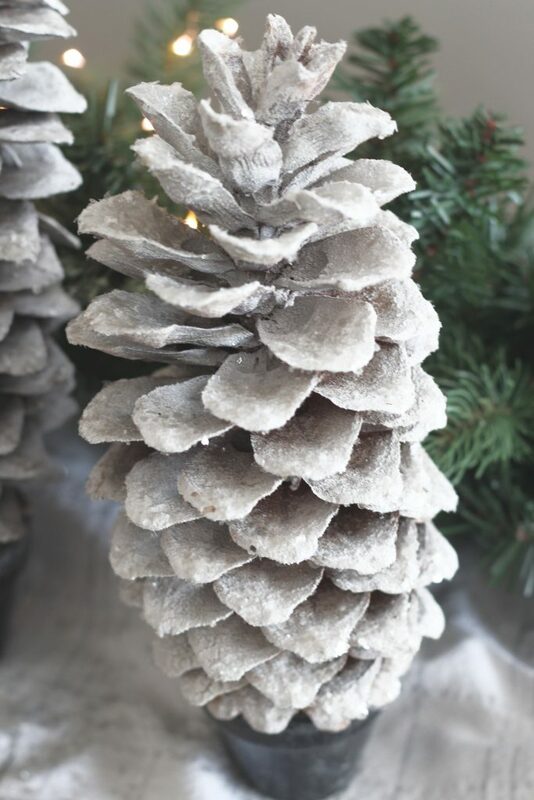 Spray pinecones with spray adhesive and sprinkle mica flakes from above. Paint terra cotta pots with the Intense Glitter varnish and let dry. Make stars out of gold wire by wrapping wire into loops around two fingers and then fashioning the loops into a star shape. Put the hot glue around the rim of the terra cotta pot and glue pine cone on top. Add wire star to the top. I have a thing for Christmas trees also. I love all the details that you thought of. These are so pretty and special. What a fun idea for decor. 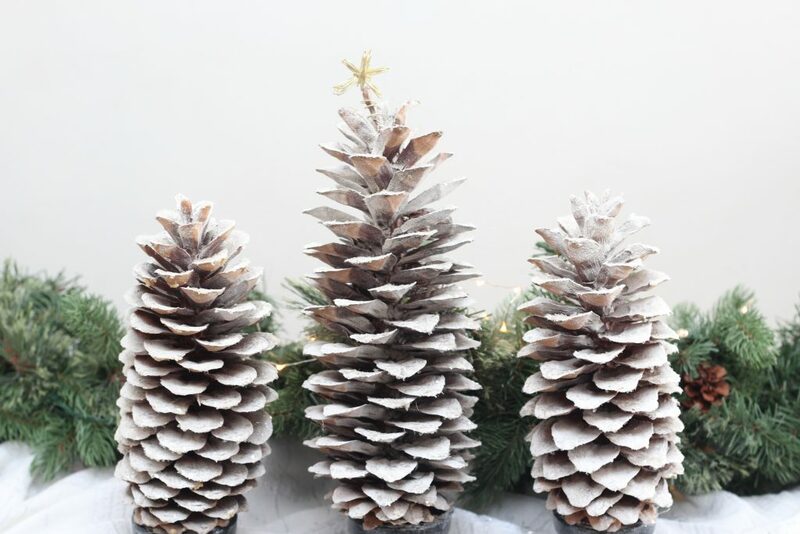 The painted pine cones look great as little trees. These are so cute! I love that they can be used for the holidays and general winter decor, too! Sometimes simple really is best. They turned out great! Very clever! Thanks for sharing at Party In Your PJs!